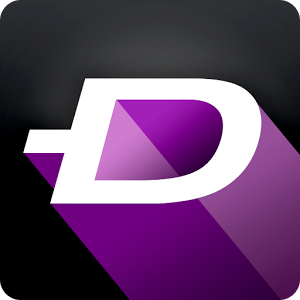 ZEDGE™ offers free wallpapers, ringtones and notification sounds to easily customize your device. In addition we offer you personalized game recommendations. • Search or browse millions of custom sized backgrounds to match your phone’s home screen or lock screen. • Enjoy popular Wallpapers for your home or lock screen from categories like landscapes, abstracts, inspirational quotes, sports, entertainment as well as live wallpapers and other images. • Use the Cropper Tool to personalize the image for your home or lock screen. • Preview and quickly set wallpapers to your home screen or lock screen from within the app! • Save your favorite wallpapers to My ZEDGE™ to access from any device or share them with your friends. • Ringtones for every friend and family member including custom contact tones as well as your favorite music like rock, rap & country, plus comedy, sayings, and classic ringers and sound effects. • Easily set ringtones and notification sounds from within the ZEDGE™ app, including individual contact ringtones. • Create the ultimate personal look for your phone with App Icons and Widgets to compliment your new home screen wallpaper. • App icons replace your calendar, mail, phone and other icons with a theme just for you. • Browse Icon and widget themes including special edition versions for holidays, sports, movies, events plus colors, moods and more. • Add sounds and backgrounds to favorites without downloading. • Receive special limited edition holiday personalizations for every occasion from our most popular holidays like Valentines Day, Mothers Day, New Years, Halloween & Christmas plus cool customizations for birthdays, anniversaries, graduations, and more.